With their 6th Annual “Everybody Wins at the Emmys!” gift baskets, thanks to Distinctive Assets, not winning the Emmy wasn’t so bad after all. 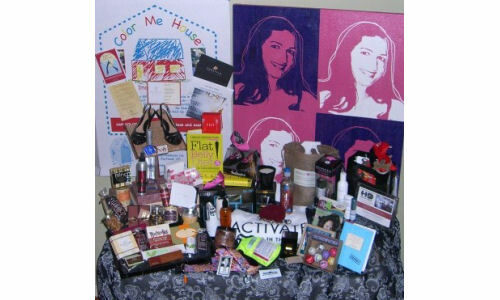 Nominees Christina Applegate, Mariska Hargitay and the other actors and actresses who didn’t take home the trophy in the twelve major acting categories received a consolation gift basket full of goodies that would make the winners envious. Now that Fall is here, no doubt these celebrities will be wearing the season’s hottest boots. 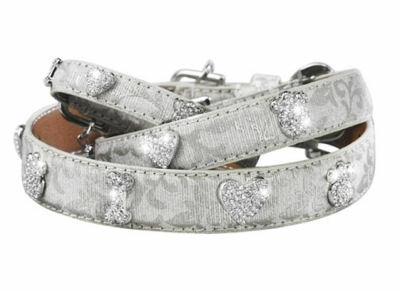 But now they can jazz up their style with Hugitz, jewelry for boots. And just in case their pants are getting caught between their foot and shoe, Kix by Katie came up with an ingenious invention to stop this from ever happening again! Even stars are not flawless, but Skineez Skincarewear garments are pre-treated with Skintex, a revolutionary ingredient that smoothes the skin and helps to visibly reduce the outer appearance of cellulite. They also received sterling silver Elle Jewelry, a gift certificate for one pair of comfortable and fashionable Sofft shoes, and a $600 gift card and free 6 month membership to Bling Yourself, where stars can rent expensive and beautiful jewelry at a fraction of the cost of owning. And for those who have or know a cute little baby girl, Heelarious provided high heel shoes in fun colors and styles such as leopard and zebra prints or in fuchsia and black that she can crawl in. 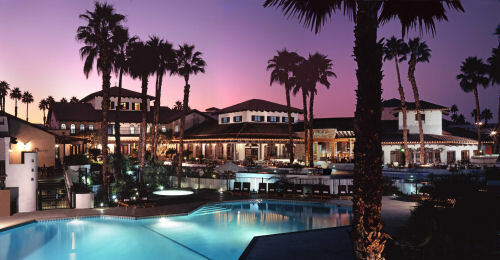 When celebrities need a mini vacation, La Costa Resort and Spa is the perfect getaway. Only 90 miles south of Los Angeles, they can enjoy coastal breezes, 400 lush landscaped acres, 2 golf courses, pools, world-class spa with an outdoor courtyard while using their gift certificate for a 2 night stay and daily breakfast for two at the Legends Bistro. And if they’ve already been there, then they can go to the Rancho Las Palmas Resort & Spa for their complimentary 2 night accommodations with a round of golf for two. This resort includes their all new Splashtopia where guests can plunge down 100-feet waterslides or just float on the river; play on one of their 25 tennis courts; or indulge in a signature Mirage Stone Massage or Desert Cactus Rescue Wrap. The beauty goodies included a daily cleanser formula, an exfoliant peel, and an enzyme eye and lip peel from world-renowned skin therapy line Leaine Dehmer Clinical Skincare. Dr. William Carroll Murphy (760-832-2793) offered gift certificates for $300 off botox or filler treatments such as Juvederm, Restylane, and Perlane. Cargo included their blu_ray high definition makeup line, which gives picture-perfect results that look natural in all types of lighting and bronzer, eyeshadow, and botanical lipstick from their 100% Natural Origin line, which is paraben-free, has no synthetic color or fragrance and the packaging is eco-friendly. To look like they just came back from an island vacation, Sunstyle Tanning offered a gift card for an exclusive 3-month unlimited membership valued at approximately $600. Now that they’re safely tanned, all they have to do is protect their lips with Ballmania Lip Balm SPF20. These sphere shaped lip balms come in a variety of colors and patterns so there’s one for every type of personality. Their Around the World collection is based on exotic destinations including “Balm Bay” which echoes India’s gorgeous silk scarves, while “French Twist” embodies a flirtatious afternoon of shopping in Paris. When their stylist isn’t around, these leading ladies can learn how to blowdry their own hair with celebrity hair stylist Kimberly Clo in her DVD Now You Know How. To help nominees stay in shape, there were gift certificates from The Sports Club/LA for a one-year complimentary membership and Huntley Drive Fitness offered ten complimentary training sessions. 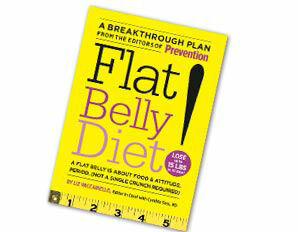 Also included was the book Flat Belly Diet! which teaches readers how to lose that unwanted belly fat while eating delicious and satisfying foods including chocolate, peanut butter, and avocado. The book claims that you can lose inches in 4 days, drop up to 15 pounds in 32 days, and boost your energy. Cleaning is never fun, but it’s got to be done! Now the stars can do it right with eco-friendly products from Universal Botanicals. To get them started, they received a glass and window cleaner, bathroom and tile cleaner, and a multi-purpose cleaner. The best part is that the bottles are biodegradable and safe for children, the chemically sensitive, and for anyone with asthma and allergies. To celebrate winning such a prestigious gift basket, the nominees may decide to have a glass of wine, except what happens when some of that wine spills on the carpet. No worries, thankfully they had Wine Away red wine stain remover to take out the wine stain with a fresh citrus scent. Forget the leash, your dog deserves so much better! That’s why Buddy Belts designed the ultimate harness to keep your dog comfortable and free from neck strain. Since traditional neck collars can cause strain which damages the pet’s trachea and spine, Buddy Belts is the humane choice. Also included were meticulously hand-made collars, leashes and jewelry from Rover Dog8 Productions and adorable Bullyware ‘special’ tees for small dogs. Will they win the Emmy next year? Well, they can find out! Mystique Vision (310-701-3440) included a gift certificate for a 2 hour personal reading and astrology session. Photo shoot not necessary—nominees received $1800 Gail Rogers Art Studio gift certificates for a 30″x24″ pet or people portrait. All paintings are silkscreen and hand painted on canvas, which are created from photos celebs can send by email or mail. Celebrity kids can show off their artistic side in their new Color Me House cardboard playhouse. This is one house parents won’t mind their kids coloring on! 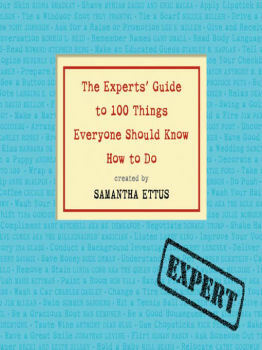 For those thirsting to know more, but not sure where to start, The Expert’s Guide to 100 Things Everyone Should Know How to Do by Samantha Ettus is a collection of “how to’s” by authorities in their fields. Just some of the things they will learn is How to Buy a Diamond by CEO’s of Harry Winston, How to Listen by Larry King, How to Paint a Room by Bob Villa, How to Apply Lipstick by Bobbi Brown, and How to Bake Chocolate Chip Cookies by Mrs. Fields. Other gifts included a large Torn Ranch chocolate gift basket with chocolate cherries and blueberries, dark chocolate orange peel, wine truffles, and much more, Tommy Bahama White Sand Rum and a Jacks and Pearls candle. At the newly renovated Mondrian Hotel in West Hollywood, GBK gifted celebrities products and services valued at over $35,000, with a portion of the proceeds going to the charities Global Green, JumpStart and Save the Tata’s. O.E. Cut Diamond (Over Excellent) jewelry gifted presenters and nominees some major bling for the big night while Rough Roses kept it casual with their handbags and unisex belts. Stars also received cool denim jeans from Laguna Beach Jean Company. All their jeans are hand stitched with leather or swarovski crystals on the pockets and each jean style is named after a Southern California beach. Super Star Nail Lacquer gave celebs the star treatment by painting their hand and toes in “Walk The Red Carpet,” a red, shimmery color with gold undertones and in “French Fashionista.” LA Sunset Tan gave celebrities a glow with Infinity Sun. The tan lasts 5-10 days and takes less than 10 minutes. Nothing goes with a tan like a gleaming smile, which is why The Massage Spot brightened teeth with Spa Brite. Whether the ladies were going for straight hair or curly hair, Metropolis Technology had both flat and curling irons to achieve the look. 3 Lab introduced three new products– Perfect Mask, WW Eye Cream, and M Cream, which are all available at Barney’s. Okay, maybe their eyelashes won’t grow long enough for the Emmy’s, but with a little more time and continued use, starlets will be able to skip the mascara for the next award show thanks to Revitalash. The Burn Machine had their speed bag and cross trainer models to help keep celebrities in shape without their trainers. You Bar, the energy bar you can customize for your own needs introduced their first protein shake. It wasn’t all about getting gifts, celebrities that came through autographed a Mars Made pool table to be auctioned off for charity. Since celebrities care about the earth, they were happy to find out about products that are environmentally friendly. M. Carlesimo gifted their elegant soy candles, which comes in a recyclable box and even the ink used is soy. Then they put their candles in Envirosax reusable shopping bags, which comes in 40 different prints and said no to bottled water with Love Bottle, a reusable water bottle that comes in 8 distinct designs and 2 sizes, and can even be customized, just use the templates on their site. Celebrity kids get all the benefits! They received Leap Frog games Tag and didj to help them learn. The Tag reading system includes the Ozzie and Mack storybook and is great for children ages 4-8 to have fun while learning to read at their own pace. With didj, 6 to 10 year-olds can play action-packed games while learning spelling, addition, subtraction, multiplication, division, fractions, language arts and more. It is the first hand-held game that connects to computers to customize both gaming and learning. Forget the stroller, Beco Baby Carrier can hold 7-45 pounds babies that can be carried in the front or back, and it’s not just for moms. Kids also received the book Corduroy by Don Freeman from Jumpstart, an incredible organization that has worked with at-risk preschool kids for the last 15 years to help them gain literacy, language and social skills to succeed in kindergarten and beyond. 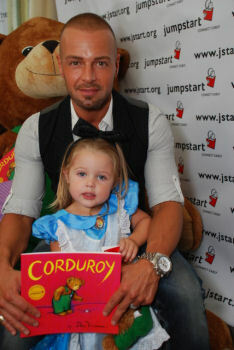 On October 2nd, celebrities Gabriel Union, Neil Patrick Harris, Jackie Collins, and Chris Harrison will read to children in Los Angeles at Jumpstart’s nationwide event Read for the Record. Oh the life of a celebrity dog! The lucky pooches will be strutting their stuff in cruelty free canine couture by House of Dog, which includes carriers, leashes, collars, and toys. When hungry, they can eat out of their Got Grubb bowls while their owners show them their love by wearing a Dog Is Good pima cotton t-shirt. Made for people, the apparels come in 20 designs for men and women. WOW! Creations kept their Lifestyle Emmy Gift Lounge intimate at The Los Feliz Room at The Renaissance Hollywood Hotel. LA Photo Party got the party started by snapping pictures of guests every 5 seconds in silly but fun wigs and outfits that were printed immediately. And boy, did the stars have something to party about—they received a vacation package to the Safari Surf School in Costa Rica! This $34,000 package includes private surf lessons, chefs, charter, accommodations and more in Nosara or Santa Teresa. 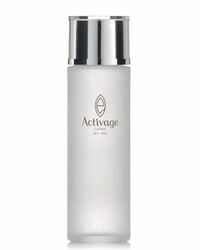 Celebrity guests were the first to receive Activage, a new Japanese skincare brand that made its U.S. debut at WOW! The company has two lines, Ocean Placenta to help brighten skin and erase pigmentation, and Ocean Collagen, which minimizes the appearance of wrinkles and helps shrink pores. Dr. Jeanette Graf signed copies of her latest book, Stop Aging, Start Living a 2-week pH diet for the skin that erases 5 years overnight. How? You’ll just have to read the book! She also gave out her skincare line, which is available on tv and online at HSN. Smile Works invited guests to their Redondo Beach medical and dental spa, for those in need of a little pampering time and pearly whites. Happy Hippo had their Bath Bakery set for stars to enjoy bath time even more. The set includes Bubble Bath Cupcake, Soy Cake Candle, and Bath Sprinkles. And to keep from worrying about money, Essence Of Money Plant aromatherapy candle burns for 30 hours to help promote a more money-savvy mindset, and burning a candle is much smarter than burning through cash. Thanks to Malibu Dream Girl, now the celebrities have something to wear when they go to Costa Rica. They gave away teeny-tiny bikinis from the Gossip line. 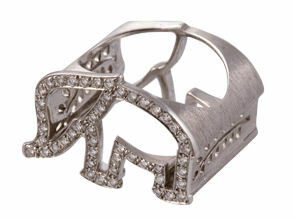 Jane Heart had fun sterling silver, gold, and diamond jewelry with cutouts of animals like horses and foxes. She also had chiuala and star pendants that guests can put their favorite photo on the back of. Speaking of pictures, Gina Alexander gave gift certificates for celebrities to also put their favorite photos on one of her bags including purses, wristlets, pocketbooks, wallets, and tote and cosmetic bags. Guests stayed hydrated with Hint water while collecting their gifts and when they were done, they headed over to Monster and Krol Vodka for drinks. Secret Room Events and Butterfly Bodies were big on beauty at their “2008 Style Lounge,” which was held at the SunStyle LA store in West Hollywood. Knowing that everyone has different needs, there were a variety of face, hair, body, and makeup products for guests to choose from. Summer may be over, but that doesn’t mean your tan has to. SunStyle LA offered safe tanning products and custom spray tans for guests to look fresh on the Emmy night. Fine lines and wrinkles are a no-no, which is why Hylunia, one of the first luxurious organic lines (since 1988) gifted some of their products to help combat premature aging. 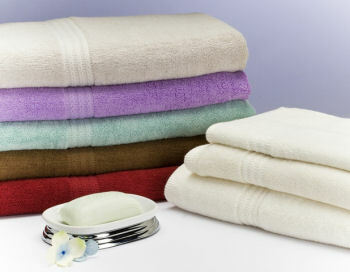 Following the all natural trend, Eve Organics gave away skincare products and mineral makeup, and stars got squeaky clean with Madre Bello Organic Lavender Body Wash. After washing their face and bodies, the stars could dry off with luxurious and environmentally friendly bamboo towels from Midori Linen. Modele, the first company to launch a lip volumizer in the U.S. and one of the best-selling lines in Europe is back with their newest version “Advaned Lip Restoring Treatment” which is available at Rite Aid stores. Sabon, a beauty and bath company that uses minerals from the Dead Sea, had a variety of products to keep celebrities smelling good. Je Beau International made guests feel like gold with their 24-karat shampoo that looks like melted gold. Sense Makeup is perfect when there’s not time for a touch-up. Their products, which includes lip color, foundation, blush, mascara, and bronzer lasts up to 14 hours and has no wax or petroleum. For those stars who just can’t find their perfect shade, luckily Colorscience was on hand mixing and matching their foundation colors because nothing looks worse than a mismatched face and neck. 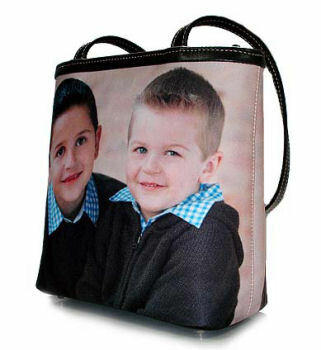 Butterfly Bodies introduced the new kay-la handbags, which is a favorite of pop princess Britney Spears. Since cleavage is everything in Hollywood, Pure Style Girlfriends was on hand to make sure the ladies looked flawless with their bra inserts. 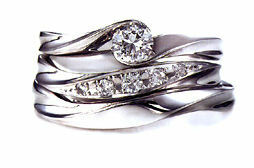 Paoo, a new jewelry line dressed the stars in handmade 18-karat gold sapphire and diamonds pieces. Since nothing is more embarrassing than wearing the same piece as another starlet at a red carpet event, with Mimi + You, they’ll never have to worry. All their necklaces are handmade, so no two pieces are ever alike! 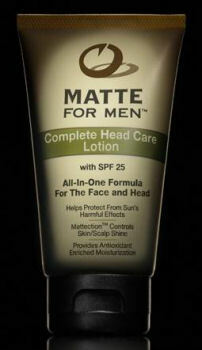 It wasn’t all about the women, Matte for Men kept men cool with their man powder that includes baking soda, corn starch, and aloe, and protects from the sun with their all in one moisturizer with SPF 25 that takes away shine. 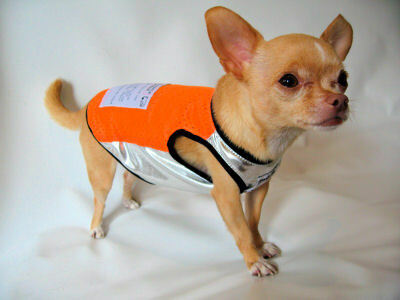 Celebrity pets can glow in the dark in neon pink or neon green with the Lulu Leash. Dog owners no longer have to be afraid to walk their dogs out at night since drivers can see the lighted leash from 1500 feet away. Guests enjoyed Dove chocolates, which introduced its new flavor Bananas Foster, as well as Beautiful, which has Vitamin E and zinc for skin health, and Vitalize, which has Vitamin B for energy. They were able to quench their thirst with Vava Water, Borba, and One Natural Experience. And as celebrities were about to call it a day, they were suprised with luxury accomodations for 2 at two resorts, which includes an elephant safari ride and much more at GoToVictoriaFalls.com and WildHorizons.co.za. At the Sunset Marquis Hotel and Villas in West Hollywood, Equinox Fitness and the Patrick Melville Salon hosted the Emmy Beauty Villa where celebrities received a variety of treatments. Co-owners Patrick Melville and Rick Wellman provided cuts, styling, hair coloring, highlights, and gloss treatments as well as acupuncture and acupressure rejuvenation facials. 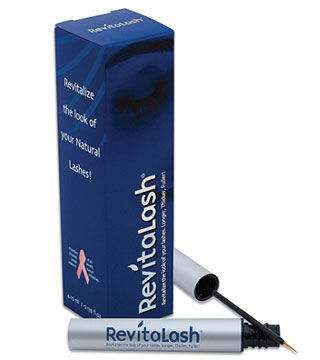 Biolustre provided hair repair and reconstruction treatments while Belegenza offered organic hair treatments. Both lines also gifted products from their line which included shampoo, conditioner, and styling gel. 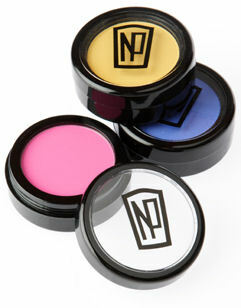 International makeup artist Napolean Perdis gifted lip color, gloss, and bronzer from his own line after guests received makeup consultations and applications. Celebrity guests also relieved pre-Emmy anxiety with a chair massage provided by Equinox and picked out dresses from Aidan Mattox. Just some of the products guests at The Alive! Expo Green Pavilion took home included Yummy Gourmet Skincare, cute baby clothes by Organic Crush, professionally customized organic makeup by Authentic Beauty Image, Smart Glass Jewelry which are made from recycled bottles and eco-friendly cleaning products by Universal Stone. OMG– that dog & the outfit are soooo cute!!!! ohhhh…that Man Powder and those wipes are FANTASTIC! Finally…products for men that work.